Big Shoe Bazaar Pvt. Ltd., the parent company of Yebhi.com, India’s leading Lifestyle e-commerce store has raised Series “C” Funding led by Fidelity Growth Partners India and Qualcomm Incorporated, through its venture capital investment arm, Qualcomm Ventures. Yebhi’s existing investors Nexus Venture Partners and Catamaran also participated the round. The total investment in Series C was Rs. 100 Crore (USD 20 Million). Big Shoe Bazaar had previously raised Rs. 10 Cr ($2 Mn) Series A funding by Nexus Venture Partners followed by a second round of funding of Rs. 40 Cr ($8 Mn) in 2011 led by Catamaran Ventures. In the initial days, Yebhi.com (then known as bigshoebazaar.com), started as a pure play footwear selling storefront. However, later it expanded its product catalogue to include categories like apparels, lifestyle accessories, jewellery, mobiles, electronics, kitchenware, homeware. 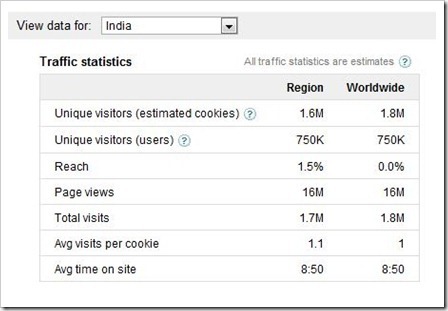 According to Google data, Yebhi gets close to 2 million unique visitors monthly with over 16 million pageviews, which puts it among top 5 ecommerce sites in India (correct me if I am wrong). The Google’s data also shows that Yebhi’s traffic has more than doubled over past 12 months. There are also rumors that Yebhi.com will soon be launching something called as “passport”. A kind of card (I assume) that will be prices at about Rs. 1000 and will offer buyers discounts which is probably 5 or 10 times of that. Incidentally, I had ordered a few things from Yebhi yesterday and I was pleasantly surprised to see those products at my doorstep in less than 24 hours. Not only that, the person who delivered was no ordinary delivery boy. They were English speaking, well mannered team members from their Gurgaon logistics department. In a casual chat with them, I was told that Yebhi has extremely aggressive growth plans in next few months and they are planning to launch slew of new initiatives. It is so great to see how far Indian online retail market has come. It was one of the sore spots for Indian netizens, but the Flipkart’s, the Jabong’s and the Yebhi’s have changed Indian ecommerce on its head! Nice to see they are jumping up the ladder fast, they are good!